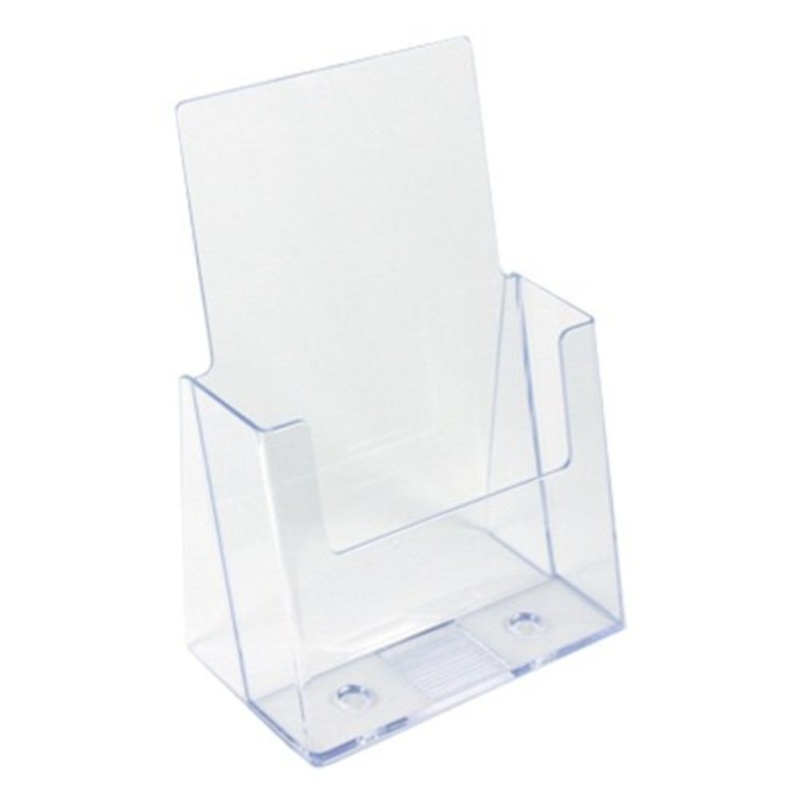 6 1/2" w x 9 1/8" h x 1 3/4" d Clear slant back single pocket counter top brochure holder for literature up to 6'' wide. Fits 8 1/2" x 11" folded in half to 5 1/2" x 8 1/2"
Free standing countertop take-one brochure holder for brochures or flyers up to 6" wide. High back, textured bottom to help brochures stay neat and organized. Rounded edges offer a smooth, clean appearance. Please contact us for more information.